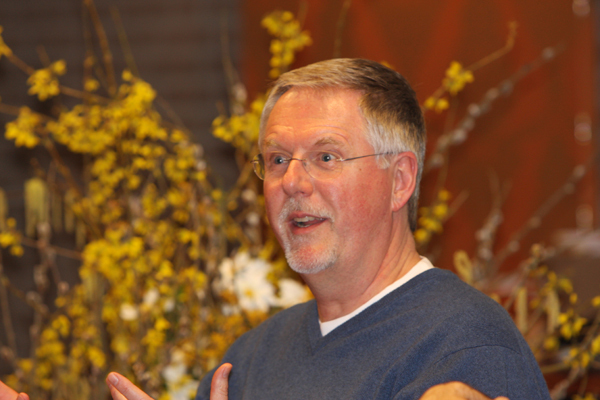 Alan Seale provides hope and a big vision for a world that feels overwhelmingly divided and unjust. Drawing on ancient wisdom traditions, quantum physics, and complexity theory, Alan disrupts traditional leadership paradigms with a set of new and powerful tools that have the potential to bring us all closer together and give us the results we need in times of uncertainty and complexity. Transformational Presence gives me a simple and practical framework for conscious leadership. These tools are critical to how I create a safe and connected environment for self-directed teams – the core foundation for how I apply Design Thinking and Scrum Agile. With enormous excitement, we announce the release of the second book in Alan Seale’s new Transformational Presence two-book set – The Tools, Skills, and Frameworks. 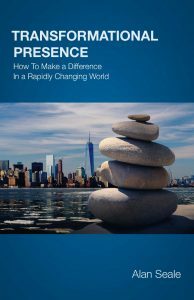 The first book, How To Make a Difference In a Rapidly Changing World, was released in November. Now the companion book is available for purchase both in print and in digital format. Filled with the full scripts and instructions for more than forty tools and frameworks, this is the “how-to” book for transformational leaders, coaches, visionaries, teachers, policy-makers, and creators – an invaluable resource for navigating today’s complex and uncertain world. The rest of this article is adapted from the Introduction to the second book. At every level of society and across many cultures, social structures, values systems, and ways of being with one another are breaking apart. No one is spared. No part of society, business, or government is left unchallenged. We are all affected in some way. Today as a collective society, we are experiencing every emotion – from shock and disbelief to anger and fear – from love and compassion to numbness, confusion, and despair. As individuals, organizations, communities, and even nations, what do we do? Where do we go from here? There is no simple answer. Our answers and informed choices from a year ago, a month ago, or sometimes, even last week, may no longer be relevant. And what is relevant today may not be relevant tomorrow or next month. Everything is fluid. Conditions are constantly changing. The “facts” are different today than they were last week. The ground underneath our feet keeps shifting. The tools and frameworks in this book are simple and practical, yet they can bring profound results. They often shift and expand awareness and perception quite rapidly. As awareness and perception expand, how we think also opens to a much greater set of possibilities. These books are not meant to provide “the answers.” Nor are the tools and frameworks meant to be “magic pills” or quick fixes to your situations and circumstances. Instead, they are meant to open perspectives and possibilities and to help you find your next steps – to uncover what is really going on at the core of your circumstances and situations, and then work from the inside out to transform what is happening in organic, impactful, and constructive ways. The tools and frameworks are equally powerful for both individuals and groups. The first book of the set, How To Make a Difference in a Rapidly Changing World, gives you the concepts and philosophies on which the second book, The Tools, Skills, and Frameworks, is based. Together, these two books can help you develop new skills and capacities that you need for navigating today’s complex and uncertain world. You are here for a reason. Chances are you want to make a difference through your life and work. These two books will provide you with many concepts, tools, exercises, concepts, approaches, and frameworks to help you make the difference you are here to make. So are you ready? If so, let’s go. Together, we can create a world that works. Special offers are available until April 18th – a bundle price for the print edition of both books in the two-book set, and an introductory price for the second book alone. 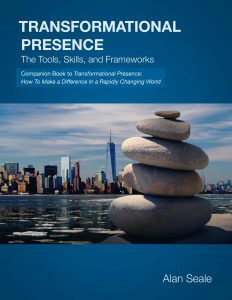 You can read sample chapters and see sample scripts and tools at TransformationalPresenceBook.com. The books are available in both print and digital versions.